But who are these bondholders, exactly? Their identities have been largely a mystery: There's no complete public listing of their names or the amounts of debt they claim. 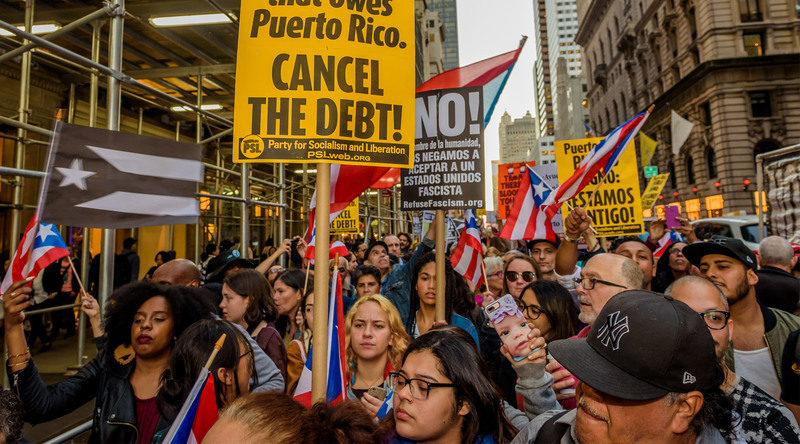 When Puerto Rico declared a form of bankruptcy in May, it was the largest municipal bankruptcy debt in U.S. history. Puerto Rico’s more than $74.8 billion in debt and $49 billion in pension system obligations surpasses Detroit, Mich.’s $18 billion bankruptcy in 2013. Much of that debt is interest. According to a report by the ReFund America Project, the financial firms like Goldman Sachs and Citigroup that helped structure the bonds built in astronomically high interest rates. Nearly half the debt—$33.5 billion—is interest, and another $1.6 billion comes from fees paid to these firms. The fiscal control board has released $1 billion for hurricane relief. According to Gov. Ricardo Rossello, only $2 billion is left in the Treasury Department's account. The government warns that it may run out of money by the end of the month. Here are the top 10 vulture firms involved the bankruptcy case, listed in order of the amount of debt they've claimed in court We have compiled their names, addresses, and a bit of history on their business dealings. History:Decagon Holdings is a firm within the Cofina Senior Bondholders Coalition and owns at least 29 percent of this alliance’s debt—as much as $912,479,194—split among 10 funds, according to court documents. In 2015, Monarch bought $30 million in Four Seasons Health Care properties, the largest nursing home operator in Great Britain, which was carrying significant debt. In 2006, Monarch bought Oneida Limited, one of the world's largest designers and sellers of stainless steel items, after that company went into Chapter 11 bankruptcy. At the 2015 Milken Institute Global Conference (an annual gathering of billionaires and global finance power players that cost $50,000 a head in 2017), Shapiro spoke on a panel titled “Trash or Treasure? Finding Value in Distressed-Debt.” He said his firm had its eye on General Motors’ liquidation and found "parts of Puerto Rico…very interesting." He mentioned the Puerto Rico Electric Power Authority (PREPA), the government-owned corporation that is the sole provider of electricity to the island. PREPA was already mired in debt, leading to serious maintenance problems. 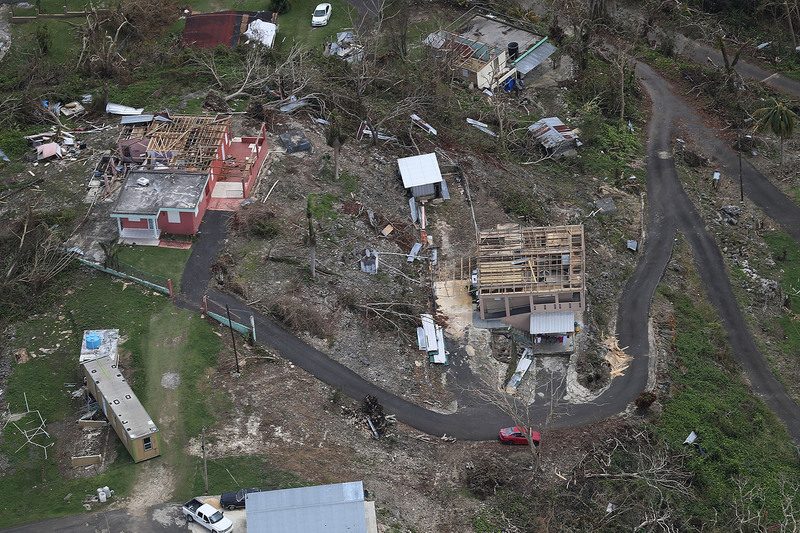 When the hurricane hit, that degraded infrastructure was wiped out, causing 88.3 percent of people on the island to still be without electricity as of October 10, according to the U.S. Department of Energy. Aurelius has successfully profited from debt restructurings more than once. In Greece in 2012, in the midst of the European country’s financial turmoil, the government had to face what was described as a "small well-funded group of investors" who opposed a 75 percent haircut. Aurelius Capital was part of that group. In Brazil's Petrobras, Aurelius forced a $54 billion default as a "precautionary measure." The firm also attempted to upset a Tribune Co. bankruptcy plan in Chicago, Ill. that had been approved by most creditors; but in that attempt, they failed. History:One of the biggest players—and biggest profiteers—in the U.S. financial crisis was Joshua Birnbaum, former managing director at Goldman Sachs and now chief investment officer of Tilden Park Capital Management. During this 15 years working at Goldman Sachs, he led transactions related to subprime mortgages that catalyzed the Great Recession. Birnbaum left Goldman Sachs in 2008 after he wasn’t named partner, raising much speculation. "The question is really, 'What's his encore?' " asked Geoff Bobroff, an asset management consultant, in an interview with The Telegraph. History: Fundamental Credit Opportunities (FCO), a division of Fundamental Advisors, focuses on high-risk investments in states and cities under "financial pressure." History: Oaktree Capital Management is an investment firm that manages $100 billion through various hedge funds. It has 900 employees and offices in 17 cities, including London, Dubai, Hong Kong, Tokyo and Sydney. Oaktree's clients include 75 of the 100 largest U.S. pension plans and 50 primary retirement plans, more than 400 corporations around the world and more than 350 foundations. Oaktree has major interests in infrastructure, real estate and energy. Its energy holdings add up to $2 billion and it holds a "controlling position" in more than 15 companies in that sector. In 2013, Oaktree Capital purchased 50 percent of Aerostar Airport Holdings, the operator of the Luis Munoz Marin International Airport San Juan. In May 2017, it sold its stake in Aerostar for $430 million to Grupo Aeroportuario del Sureste and the Canada's Public Sector Pension Investment Board. History:Stone Lion Capital was founded by Alan Jay Mintz and Gregory Augustine Hanley in 2008. These two men were once risky debt dealers at Bear Stearns, the bank that infected the financial market with toxic mortgage assets, received a bailout from the Federal Reserve Bank and was later sold to JP Morgan. In 2014, they requested $100 million from the Puerto Rico government's junk bond issue and received $30 million. However, the firm is claiming, in total, more than $300 million in General Obligation bonds that may have been obtained before or after 2014. It also owns more than $15 million in bonds from Puerto Rico Highways and Transportation Authority. Eric Michael Friel, senior managing director of Stone Lion Capital, was among the executives who attended the Ravitch event in New York this year. He was formerly a managing director and "risky debt" analyst at Bear Stearns & Co., one of the first banks to collapse in 2008. However, the alliance of which Stone Lion is a member, the Ad Hoc Group, launched an offensive against the Puerto Rican health and education systems with a report commissioned in 2015 mapping a debt repayment plan. The report, “For Puerto Rico, There is a Better Way,” recommended the dismissal of teachers, cuts in the subsidy granted to the University of Puerto Rico and trims to "excess Medicaid benefits," among other austerity measures. Joel Cintrón Arbasetti is a journalist at the Centro de Periodismo Investigativo (CPIPR). His work has appeared in Diálogo, Cruce Magazine and 80grados.net. He tweets at @JCArbasetti. Carla Minet is a journalist and editor at CPIPR. Her work has appeared on Channel 6, Radio Universidad, El Nuevo Día, The New York Times, The Washington Post, Univision and Noticel. She tweets at @carlaminetpr. Alex V. Hernandez is an assistant editor at In These Times. Jessica Stites is executive editor of In These Times.